Asbestos in future NBN pits - So who's to blame? Further to my other post – Another NBN farce, there has been further developments in who is to blame in what is fast becoming a scandal for the Government. A serious health scandal that they can well afford given the latest Newspoll results. While the Government is frantically trying to pin everything on Telstra, what is really at the heart of the issue is NBN Co not adequately planning for the safe removal of asbestos that they were advised years ago existed in Telstra pits that they always planned on using to roll out the NBN. Not only were they repeatedly warned about the risk that these pits presented but the NBN has also been accused of providing inadequate training and preparation of NBN Co staff and contractors in removal of the asbestos by the Electrical Trades Union (ETU). Today’s article in The Australian NBN shares asbestos blame as clean-up begins lays the groundwork (if you will pardon the pun) for what could be a devastating blow for a Government already renowned for an abysmal record in implementing major policy. THE federal government agency building the National Broadband Network is being blamed for exposing workers to asbestos risks amid revelations it was warned two years ago to act on the danger. Union officials accused NBN Co of failing to honour an agreement in 2011 to prepare workers for the asbestos hazards as emails confirmed that company executives were told of the challenge to the $37.4 billion project. Given that the NBN is a project dreamed up by Rudd and Conroy on the back of a paper napkin on a plane flight without any proper planning or cost / benefit study, it is also not surprising to hear that the Government and its NBN lovechild has “managed” to bungle it’s way into yet another embarrassing issue during its roll out phase. I use the term “managed” very loosely, for the NBN has barely managed to do anything successfully other than spend money. Our money. At the end of the day the pits are Telstra’s property, however the NBN Co is a government “business” and the senior management of NBN Co are all appointments of the Federal Government. Ergo, the Commonwealth Government is ultimately responsible for the work undertaken by NBN Co and it’s affiliated contractors. The Australian once again sheds light on the details that Labor are very anxious to keep out of the news. As Julia Gillard sought to hold Telstra responsible for the workplace failures, The Australian was told last night that at least two recent asbestos incidents related to contractors working for NBN Co, not Telstra. While attention focused on the release of asbestos by a Telstra contractor in Penrith in western Sydney, companies confirmed to The Australian that other incidents involved work for NBN Co.
One contractor, VisionStream, has been hit with two “improvement notices” by Comcare on asbestos handling at sites in Tasmania where it is conducting work for NBN Co, not Telstra. Last night NBN Co clarified that the incidents did not relate to asbestos exposure but to problems Comcare found with administrative processes and the safety gear contractors were required to wear. 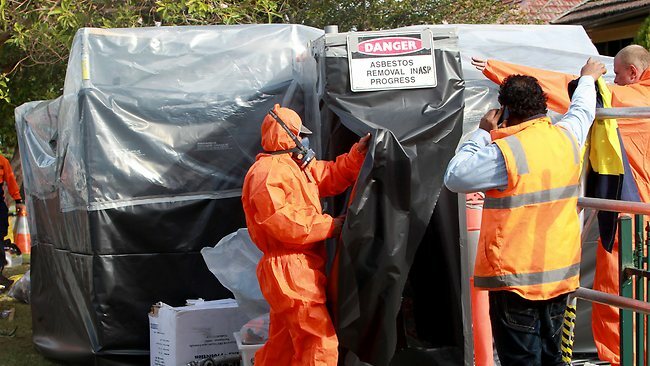 But the company confirmed another incident involving one of its (NBN Co) contractors allegedly mishandling asbestos on a site near a Telstra pit in the Perth suburb of Victoria Park in February. Another contractor, Syntheo, is the subject of complaints about asbestos released in the southern Adelaide suburb of Seaford, where it is doing work for NBN Co. Already this issue looks like blowing up in Labor’s face. SA Senator Stephen Xenophon is quite adamant about where the blame ultimately lays. Senator Xenophon said the responsibility now went beyond Telstra. “This is a legal minefield in terms of NBN Co and ultimately the commonwealth bearing responsibility for shoddy practices that have exposed the public to deadly asbestos,” he said. Unfortunately for Labor it’s not only the politicians from the other side of the ideological divide that are lining up either. The Unions are also far from impressed. Union officials urged NBN Co in early 2011 to prepare the project’s workforce for asbestos handling but that getting the company to act was “like pulling teeth”. Senior officials from the CEPU said they strongly backed Labor’s NBN policy but believed the government company had failed to honour an agreement to protect workers from asbestos risks. ETU assistant national secretary Allen Hicks was the union co-ordinator on the NBN project in 2010 and 2011. Another official, David Mier of the CEPU, also said the government company had not listened to warnings and acted inadequately. Mr Hicks and others raised the asbestos problems directly with NBN Co in 2010 and 2011. To me it also looks like the Unions themselves really didn’t do much to prevent what is shaping up to be quite an alarming issue. If asbestos was such a concern for the Unions involved and some of their highest officials were intimately involved with the project and were experiencing issues getting NBN Co to address their concerns, why are we only hearing about it now after the damage has already been done? But Mr Hicks said NBN Co had not delivered on its agreement. Mr Hicks said NBN Co could be doing “significantly more” to address the problem. “Even before the agreement was reached with Telstra we were talking to NBN Co,” he said. What the? The Union had “problems” getting the management of NBN to recognise the risk of asbestos? PROBLEMS RECOGNISING THE RISK OF ASBESTOS?!? If the various Unions actually gave a stuff about the workers that they purport to represent and the wider public at large, how in the hell did they let the bloody work be undertaken in the first place when they were all well aware of the risks involved? Isn’t one of the main battle cries of the Unions about OH&S? Aren’t the Unions meant to protect the workers? It seems that the only times that OH&S is a critical issue is when it is on a commercial work site such as Grocon’s various sites in Victoria, where the CFMEU held mass rallies to protest about not being allowed to have CFMEU appointed OH&S officials. Oh, but that’s different. But then again, so is asbestos. 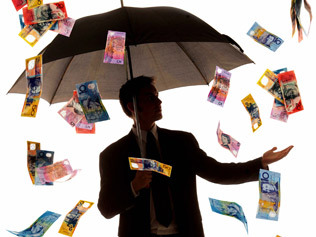 Whether the NBN is a good policy objective in such financially troubled times is irrelevant. What matters now is how the public will perceive the obvious lack of planning and risk management, as well as the total lack of accountability in decision making in relation to remediating the existing asbestos. This could be extremely damaging to the long term viability of not only the NBN Co, but also for the Unions involved, and ultimately the Labor government that clings grimly to power due to the support of the very same Unions. Only 101 days to go.